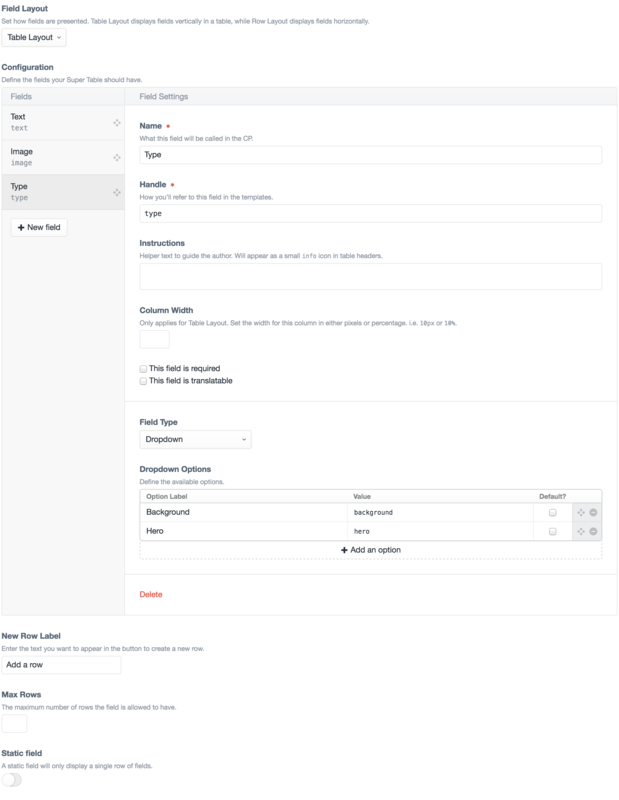 Super Table is a Craft CMS field type to allow you to create powerful tables. You can utilise all your favourite native Craft field types in your tables, including Assets, Users, Entries and even Matrix. Also supports many third-party field types. Creating a Super Table field is very similar to a Matrix field. 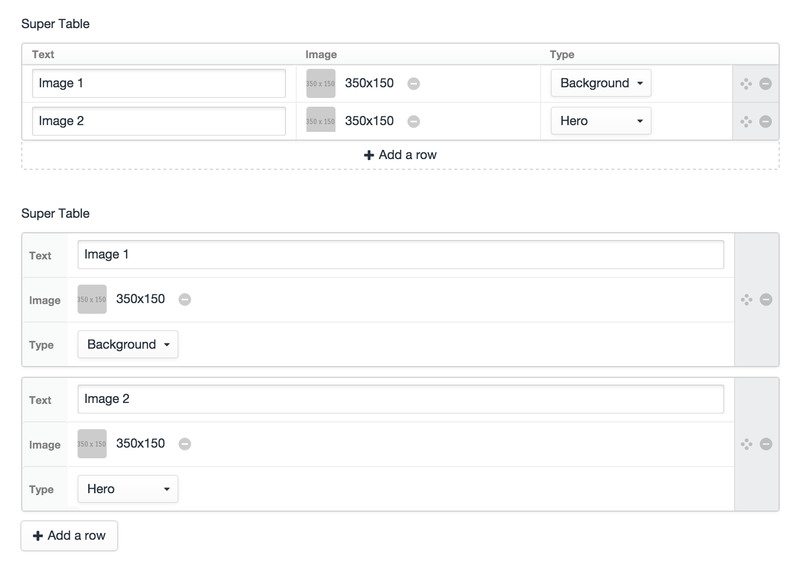 First, select your desired Field Layout, then use the Configuration to define your fields. For any Super Table, you can choose between two layout options - Row and Table. This is an option when creating your Super Table field. 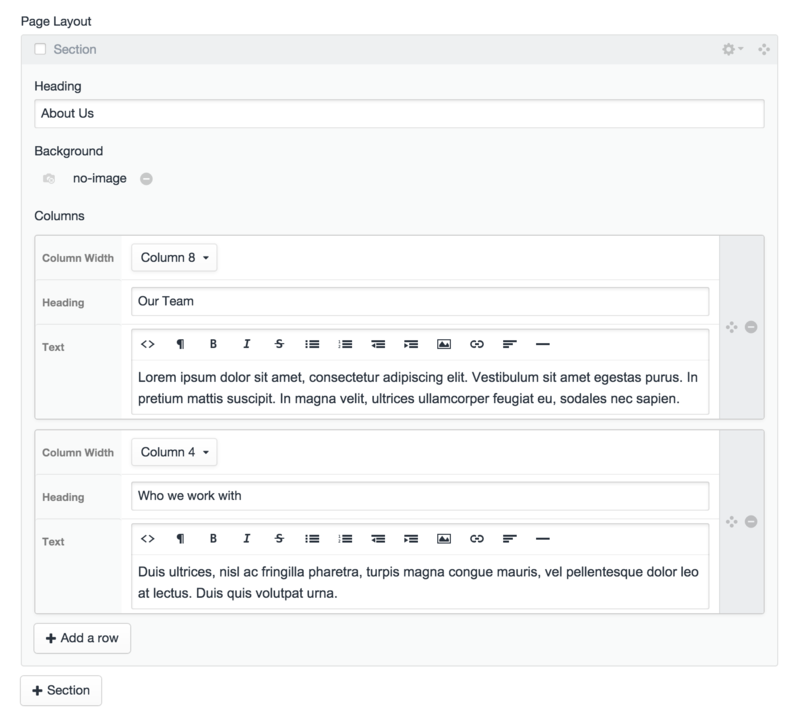 The Table layout will present fields vertically and in a tabular format - exactly as you'd expect from a Table field. Row on the other hand will present fields horizontally, similar to how a Matrix field works. Which layout you choose will likely depend on what sort of fields you have in your Super Table, and the number of fields. For a Super Table containing 4 or more fields, your best option is to use the Row Layout. To illustrate the different layout options, refer to the below, which are the same field using both Table and Row layouts. The Row Layout also shines brightest when using inside a Matrix field as below. A Super Table field can be set to be static, which turns the field into a non-repeatable collection of fields. This can be useful for a multitude of cases where you wish to simply group a collection of fields together, and not necessarily have them repeatable.